Surprise! Surprise! We have a New Cricut Collection! It promises to be an absolutely “must have” product. This cartridge has an emphasis on 3-D project suites with 698 unique shapes plus a circle and a square to balance out the collection. The keypad cover is designed in an alpha/numeric form to make it quick and simple to find the shapes you need and each key is themed to make a variety of projects. The cartridge is once again included in a great collection. 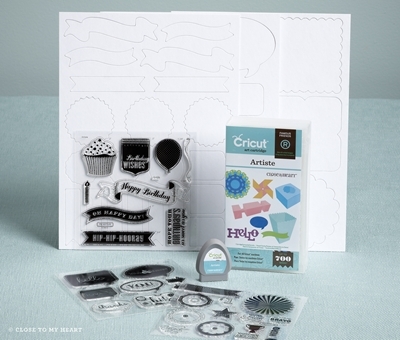 The Cricut Artiste Collection is packaged with 3 exclusive stamp sets and 3 sheets of coordinating chipboard. While the stamp sets are only available with the cartridge, the chipboard shapes may be purchased separately. Visit my blog on August 25th for an Artiste Blog Hop where you can see a sampling of all that you can do with this cartridge. Workshops on the Go – Home Decor! In addition to 8 brand new WOTG scrapbooking kits featuring all 8 of our newest papers, there are 5 ADDITIONAL kits that include a Halloween party supply kit featuring the Cricut, two fabulous card kits, a kit to create our new spool album, and even an Advent calendar kit! The info for each of these additional kits gives an estimate of the time needed to create the project. You won’t want to miss any of these workshops this fall! The kits range from the super-creative to the non-crafty and vary in price from $29.95 to $44.95. My personal special from now until September 30, 2012: Host a workshop with 6 other attendees and receive your workshop free! That’s right, choose any of the Workshop on the Go Kits, round up 6 of your friends who also want to do the kit and you will receive your workshop for FREE. Kits must be paid for 3 weeks prior to the workshop. Offer ends September 30, 2012. Workshop must be scheduled by October 18, 2012. I will also be starting up Club again after our summer break. This is a great way to give yourself some free time and get some scrapbook pages done. Each month, we do one of the WOTG scrapbooking kits or you may place a minimum order of $29.95. Every month you order, your name moves up the list and when you reach the top you earn the hostess rewards for that club night. You may also host a gathering during the month you are hostess to earn even more rewards! Please contact me asap if you are interested because I will put the first names at the top of the list. You can still join even if you are not local! Just contact me to find out more! I will also be having workshop days for the home decor and cardmaking Workshop on the Go Kits with Mystery Hostesses as well as some other surprises! Let Close To My Heart’s Workshops on the Go® kits make your home an even cheerier place to be when you create and display the festive advent calendar and eye-popping scroll album. 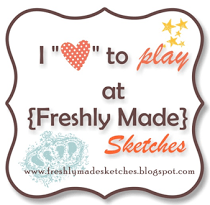 You’ll love these two new workshop offerings designed just for you!